mattdudleydrumming.com is a blog dedicated to everything drumming for drummers and enthusiasts. You’ll find interviews from our very own Behind The Kit Podcast that share the working drummers journey, topics on trial and error, Skype Lessons, vintage drum catalogs, and much more! 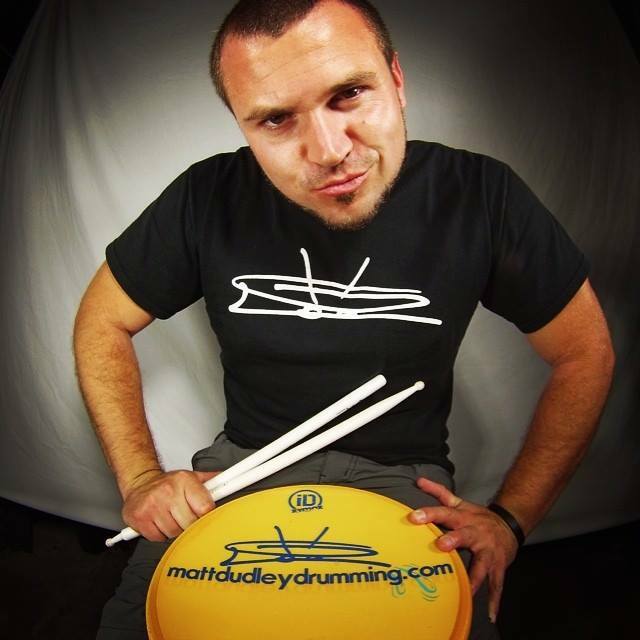 Matt Dudley is a drum educator and blogger. He studied percussion at the University of North Carolina at Pembroke under percussion director Tracy Wiggins and drum set instructor Pat Petrillo. While attending UNCP he played snare in the drum line for the Spirit of the Carolina’s marching band and studied music business. Matt has performed and recorded with numerous bands and musicians from the east coast such as SCC Choir, Highland Brass, The singing Smith Family, Unpaved, Central, Johnathan Cigary, Burden of Atlas, Don Peacock, The Usual Friends, Luminosity, Nathan Purifoy, Michael Graham And The Hero’s, Gathering Grey, Traditional City, Honey Don’t, Buddy Deshler, Danica Honeycutt, The Mac Trio, Marc Chesanow, Bruce Whitcomb, Ron Johnson, Sonny Boykin, Leroy Harper Jr., Highest Praise Church, Lifepoint Church, and Covenant Community Church. On top of all of the performing, and recording sessions Matt has been teaching drum and percussion lessons since 2003 and has taught the drum lines for Whiteville high, South Columbus High, and East Columbus High. Matt is an American Independent Artist for Los Cabos Drumsticks. Matt also endorses Low Boy Beaters, and drumtacs.